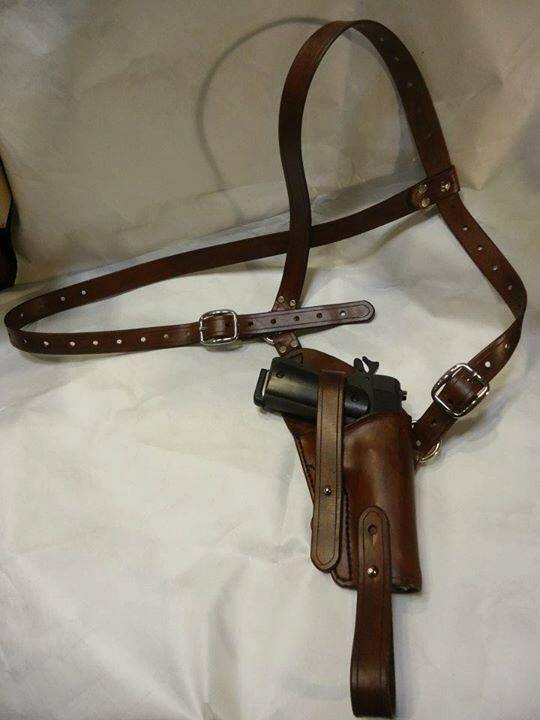 This listing is for a handmade leather tanker holster for a 1911. 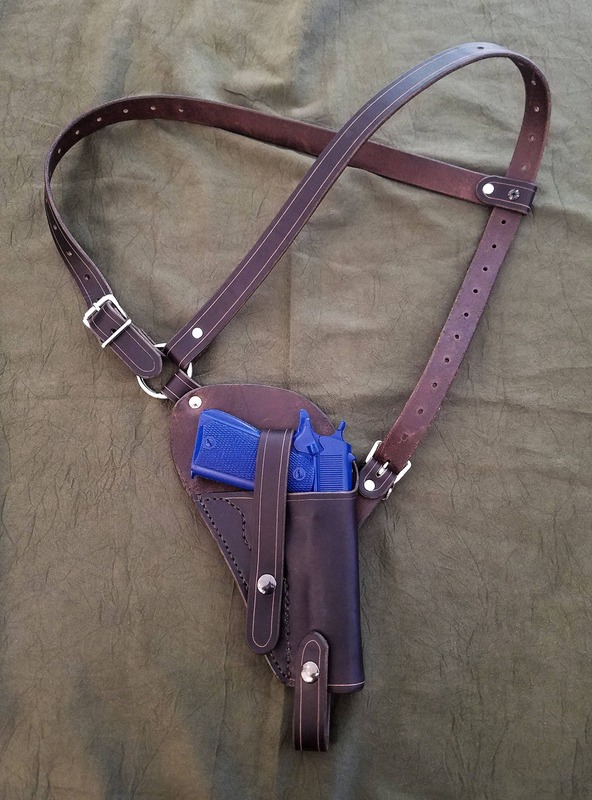 It is similar in style to the tanker holsters used in WWII, with a few "improvements" such as Chicago screw retention on the back strap instead of leather ties, and steel D rings to allow the straps to pivot comfortably. 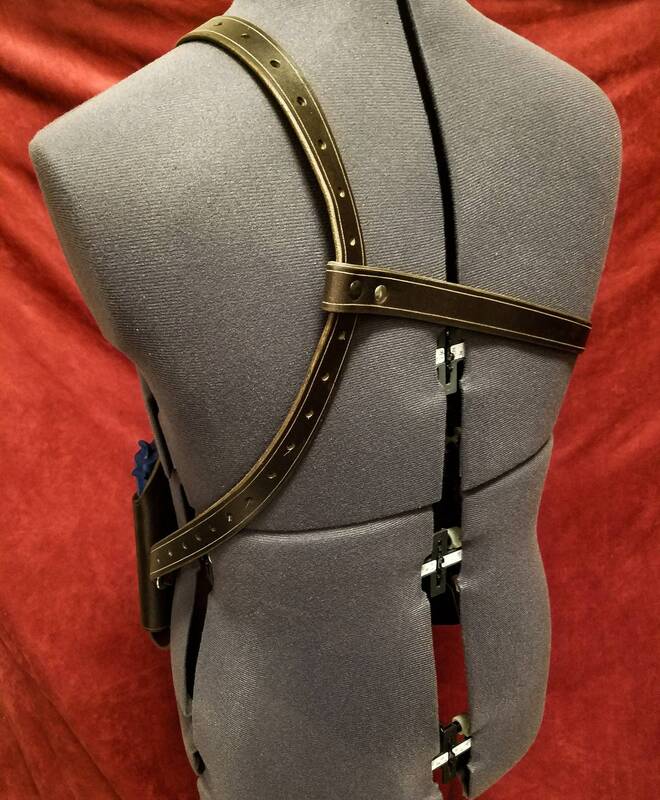 The belt loop and retention strap are closed via Snaps as a standard, but I can substitute Sam Browne studs if you want. 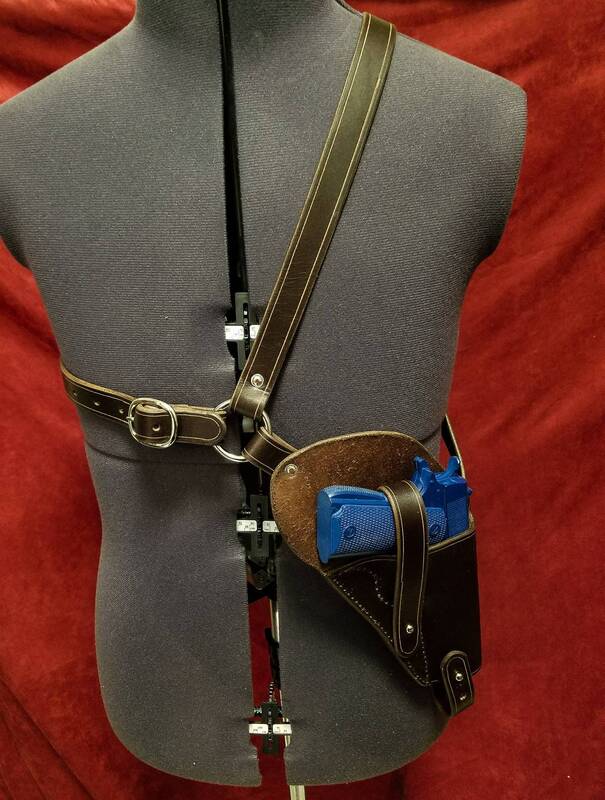 The Buckles and rings are steel as a standard, but can be done in several other colors if desired. Message me for options. The color in the photo is the "Dark Brown" option. When ordering, please include a measurement of the circumference of your cheat to ensure proper fit. Exactly what I needed. Superb craftsmanship...I'll be ordering again soon. Really well made. Fast delivery. I would buy from this vendor again, no question.